I had a great, laid-back time this year. Meaning, I wasn’t hunting down too many panels or running here and there and getting crushed by the crowds. 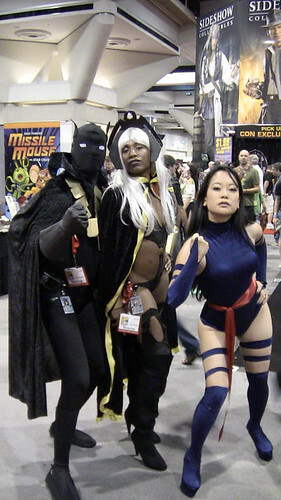 I decided to cosplay as Psylocke from X:Men this year (and it’s my first time cosplaying, ever) and I had a great time walking around and meeting other nerdy people like me! LOL I might be addicted to cosplay after this! 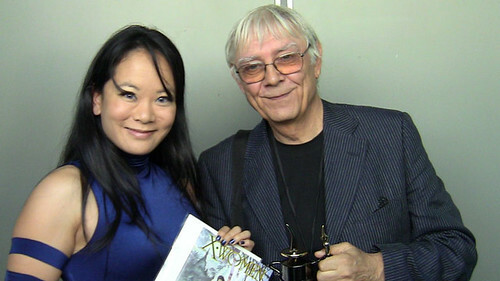 My highlights: Meeting Milo Manara and Chris Claremont. They worked on a one-shot that just recently came out called, X-Women. It’s a silly book, but Manara’s art always seduces me. I had the pleasure of obtaining a few sketches from him and I regret not being able to speak Italian or French! 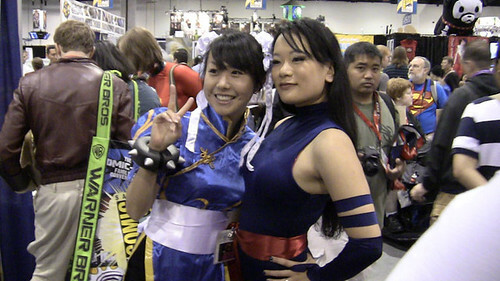 This Chun-Li was a cutie! Over at that Marriot, they had a waterfall by the pool. Win convinced me to Jim Lee this shot. I loved these guys. They looked awesome. 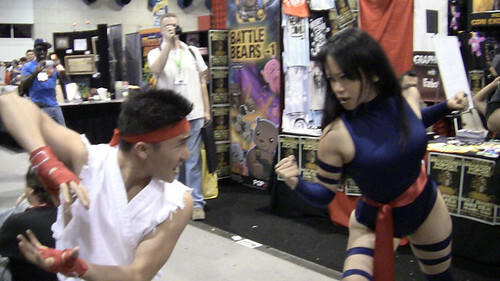 The man ahead of me in line asked Manara to sketch me in my Psylocke costume. OMG DIED. My highlight is this photo! Hooray! How did I not know you were going?! We could have met up or something! I go every year! :( I hope you had a fun time though! !